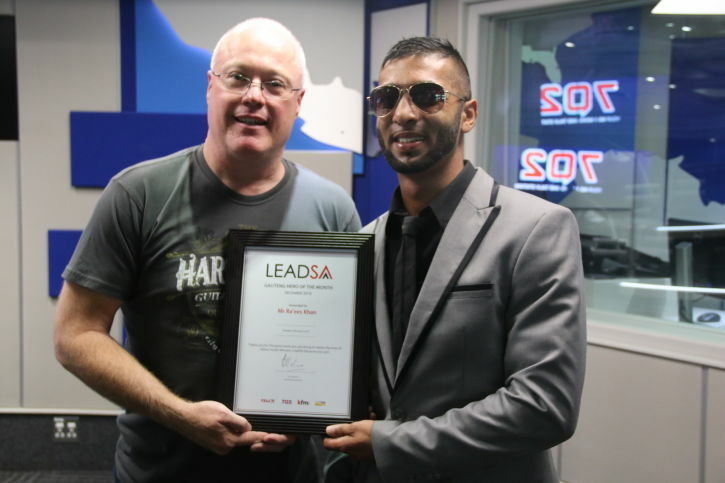 LeadSA hero and chairman of the Champions Boxing Council Of South Africa, Ra’ees Khan tackles youth challenges through sports. Through his position at the council, Ra’ees coaches boxing in his community with the aim of empowering the youth by teaching them the combat sport and helping them stay off the streets. The council is an NPO that provides community service through sports, education, and recreation in pursuit of its contribution to the global Sustainable Development Goals. Ra’ees helps over 250 youth have access to sports, education and recreation facilities to combat crime, poverty, and gangsterism. The Champions Boxing Council Of South Africa was founded in 1961 and has since expanded in and around Gauteng. He says one of the great misconceptions about boxing as a sport is that it is very dangerous or violent. In fact, it is quite the opposite. Boxing is a very controlled and safe sport where kids, youth, competitors and athletes are paired in accordance with their threshold of competitiveness. You are fighting with somebody who is in your weight division. Protective headgear is used. In any boxing ring safety is the first priority. — Chairman of The Champions Boxing Council Of South Africa, Ra'ees Khan. LeadSA Hero Melissa Leonard has created an organisation for handicapped people to share her passion for underwater diving. Kusini Water introduces a new dynamic to ensure easy access for safe drinking water in Africa. LeadSA recognises internal staff and social entrepreneur Ben Mashao for his contribution to youth development through sport. LeadSA recognises Mavhutu Dzege as hero of the month for his initiatives which include the school shoe and food parcel handovers. LeadSA chooses internal staff member Palesa Matanyane as the hero for September 2018. Lead SA Stratum Hero for July, Stephan Fereirra, says being diagnosed with leukemia gave him more drive to make a difference.